Had a great training session last evening with a lovely little rescued cocker spaniel who had forgotten how to play. I often see this in older rescue dogs who were previously backyard dogs, or for whatever other reason did not get to play with their people into adulthood. By the end of the session, this little dog was comfortable enough to offer me a couple of play bows and some playful pounces on a toy, which made my day. Since part of my specialty is working with high drive and sports dogs, I spend a lot of time teaching people how to play with their dogs. Teaching play is part of my class curricula, and I encourage clients to bring toys to class. But while tug and similar games are perfectly appropriate and beneficial (http://helpingpetsbehave.com/post/18535186476/scientific-study-dispels-tug-myth) for adults to play with their dogs, there are limitations as to how children should play do with dogs. My daughter, at just over two years old, loves to watch me run agility and flyball with our dogs. She cheers us on enthusiastically, yelling “Mommy, Claire, running!” And then she asks to play with the dogs herself. On a number of occasions, she has asked me for my end of a tug toy to engage with a dog, and I have had to turn her down. For, while I love the idea of my dogs playing with my child, I do my best to remain safety conscious at all times, and tug is just not safe between a dog and a toddler. Fetch: As seen in the above-linked video by my friend, Natasha, there is a minimum age at which this game can begin, but pretty much as soon as a child is able to throw a ball, they can do so for a willing dog. The key is to be sure the game is controlled, and the dog is not one that will grab at the ball as the human is going for it. If you have such a dog, then I highly recommend the use of a chuck it or similar toy to keep fingers away from the ball. Ideally, I like to teach a dog to drop the ball, then back away some distance for the child to pick up the ball. I discourage my daughter from picking up the ball if it is still between the dog’s paws, and to wait until the dog has backed away from it. This ensures that the dog is really ready to give it up for another throw, and won’t grab it, accidentally biting little fingers. And as the dogs learn that she won’t throw it again until they back up, they willingly comply. Chase games: Most dogs naturally love to run. Mine will “zoom” on cue when I say “run!” Typically, they run away from me, and I give short chases as they tuck their tails and zoom in circles past me. Once a dog has been trained by an adult to zoom on cue, then pre-teen or older children can play this game. While I do teach dogs to chase after adults in my sports classes, I don’t encourage dog-chasing-human games with children younger than teenagers, in order to avoid the risk of their being knocked over or otherwise hurt. Then there are tummy rubs! Tug: This is my favorite game to play with dogs, but it is not age-appropriate until quite a bit later due to safety concerns. I generally recommend that children be at least in their early teens, larger than the dog in question, and using a very long tug toy. I also recommend that parents first teach the dog a solid “drop it” as well as teaching the dog the rules of tug (i.e. teeth to flesh = game over) prior to allowing the children to play. 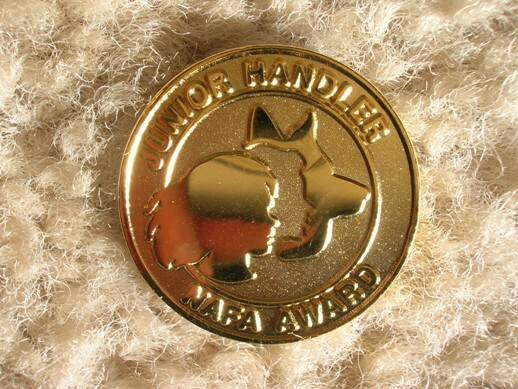 Dog sports: Many sports now have “junior handler” divisions and even awards. The AKC has a complete page dedicated to juniors in companion events including a variety of dog sports. In agility, there are also a variety of Junior Handler programs. And in flyball, I have seen children as young as three years old run well-trained dogs with an adult to closely manage the racing, and Junior Handler Awards being given out at tournaments. Clearly, games are good. A recent study looking for the effects of tug on dogs’ behavior actually demonstrated that dogs that were played with (tug in this instance) sought more attention from and were more attentive to their handlers. Isn’t this what we want in relationships between our dogs and our families? So I say, play on, my friends, play on, and keep it safe. Visiting with a friend recently, she commented on how impressed she was that Shelby thanked her for something she was given without being prompted. Since she started talking, we have been constantly reinforcing and encouraging her to “mind her P’s and Q’s”, so to speak, and she is generally pretty good at it these days, though there are still times when we do have to remind her. Once again, I’m reminded at the similarities in working with dogs and children. 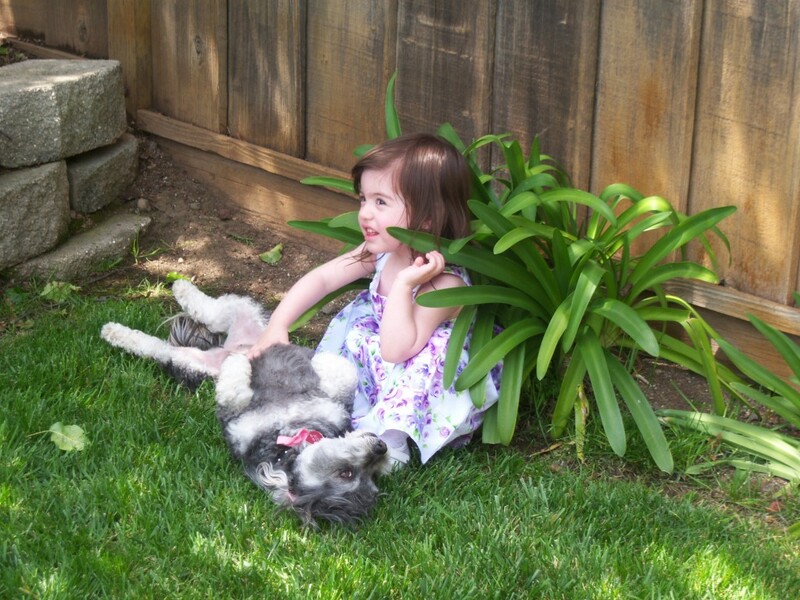 In her recent newsletter, TV dog trainer, Victoria Stilwell, wrote that while we must be careful not to anthropomorphize too much, there are still many similarities between rearing children and raising dogs within our families. Let’s take please and thank you as an example. 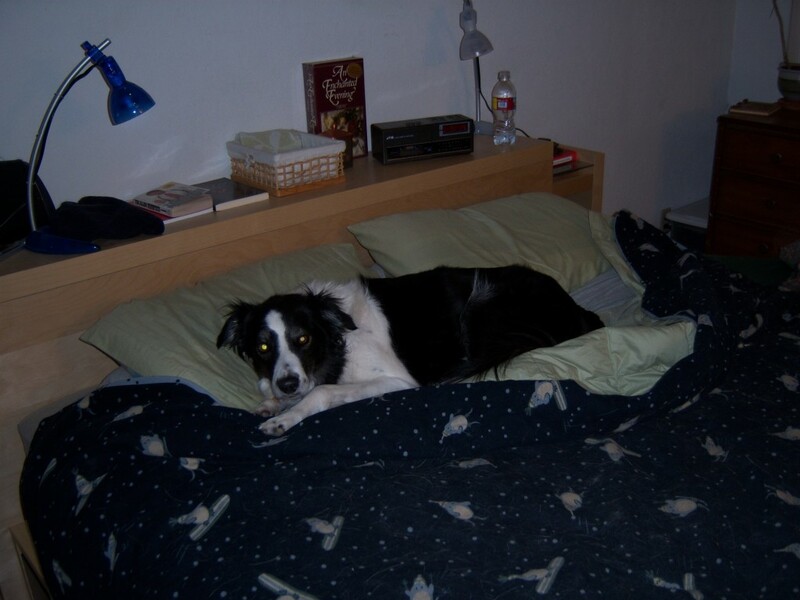 As I recently wrote in the High Drive Dogs blog, many dogs get very pushy in asking for whatever they want. In such cases, it’s helpful to teach them to “work for everything.” Most specifically, rather than just insisting on getting what they want, we want our dogs to ask politely. And if you are thinking that by suggesting that dogs “ask” for things, I’m anthropomorphizing here, remember that any well-housebroken dog without a dog door must know how to ask to go out. But what about please and thank you? Well, I encourage my clients to teach their dogs to sit politely to ask for things, rather than pushing their way onto us for attention, or barking insistently when they want other things. And for thank you? This can often come naturally in the form of a tail wag. Then there’s the issue of the “indoor” and “outdoor” voices. We are working diligently with our daughter to teach her not to scream and yell in the house, but that it’s OK to do this outdoors when she’s playing. My dogs, similarly, have learned to woof quietly when they need something indoors, but they are allowed to bark more loudly when they are outside, depending on the setting. Many similarities indeed, as we raise our children and dogs within our homes. And while we must never forget that they are different species, with different needs and behavioral characteristics, please and thank you serve to remind us of why dogs have come to be such an integral part of our families, and why rules for both dogs and children are crucial in developing polite and well-behaved adults. So train on my friends.And thank you for reading. “I was sure she knew she did wrong by the look of guilt on her face when I got home.” How often I hear clients utter such words in reference to some misdeeds that their hapless dogs have done. I was thinking about this the other day as I was reading through some reviews of the latest studies on “dog guilt”. In one study of note, Julie Hecht led an experiment where dogs were told by their owners to “leave” a treat alone, whereupon they were left alone in the room. In some of the cases, the dogs ate the cookie, while in other cases the experimenters took the cookies from them. In both cases, the owners decided that their dogs actually looked guilty. It is surmised that this “guilty” look is actually an appeasement gesture – an attempt to prevent the other individual from remaining angry at them or (potentially) injuring or leaving them. Uh... was I not supposed to be up here? I have no scientific basis for this, other than to reference an article that stated that the average dog has the intelligence of a 2-year-old child, but I tend to think that toddlers and dogs are pretty much on par as far as true “guilt” is concerned. Recently, our daughter scribbled with crayon (fortunately the easily soluble type) all over the floor. Proud of her handiwork, her happiness quickly turned to that “guilty” look as soon as she saw that I was upset. Did she know she had done wrong? Was she feeling guilty? Well, if history tells, I would say, most likely not, considering she did it again a week later, and proudly stated “Shelby draws” as I took a breath and went to clean it up again (with a mental note to hide the crayons when I can’t be supervising the art project!) Thus, I question whether a child of 2 years has the depth of conception to purposely do something bad and then actually feel “guilty” about it, any more than the family dog. Emotions are complicated, after all. According to Your Child’s Growing Mind by Jane Healy, ”intellectual and emotional development are inseparable.” And while one study showed that dogs may show empathy to crying people – something that 2-year-old children have also been known to do – this is still a long way from the more complex emotions such as guilt. I understand that it makes *us*, the “wronged” ones, feel better when we believe that the other individual feels guilty for what they have done – disobeyed us, left a mess for us to clean, destroyed a cherished item. But this does not mean that the guilt is really there. And when all’s said and done, the most important thing is not just what we believe, but how we act. Thus, even if you insist on believing that your dog or 2-year-old child feels guilty for knocking over and breaking your crystal vase, what matters is your response to the event. Will you choose to clean it up and make a mental note not to leave expensive things within reach? Or will you punish the wrongdoer after the fact, for something that they may not quite understand? I don’t profess to know the answer, but it is worth considering the options. There has been much discussion lately within the dog trainers’ network to which I belong, regarding the variety of training methods that are in use today. While there are arguments for and against any method, the science of learning theory tends to support the idea that, for safety reasons as well as others, modern, reward-based training techniques are the best for children to use. These methods are non-confrontational, and emphasize encouraging correct behavior, rather than punishing incorrect behavior. Sarah Kalnajs, renowned trainer and author, recently wrote a detailed note about the merits of modern training methods. As a cross-over trainer myself, I understand how each style of training works, and recognize the substantial benefits of the more modern methods. According to recent studies, punishment-based training methods are not only more difficult to execute effectively in terms of timing and technique, but they can be downright dangerous, as they may increase the likelihood of a dog becoming aggressive. Regardless of whether you subscribe to such techniques in training your own dogs, I still strongly advise against it when it comes to children. More pet friendly techniques are not only safer and less potentially harmful if one’s timing is a little bit off, but they are also better for improving the relationship between the dog and child. According to Dr. Ian Dunbar, a pioneer of reward-based dog training methods, one good way to start working with a dog and child is to have the child stand in front of the adult, asking the dog for a behavior (i.e. sit). The adult standing behind the child would then reinforce it, and the child would then deliver the treat, ideally by tossing it to the ground in front of the dog (to prevent nipped little fingers.) 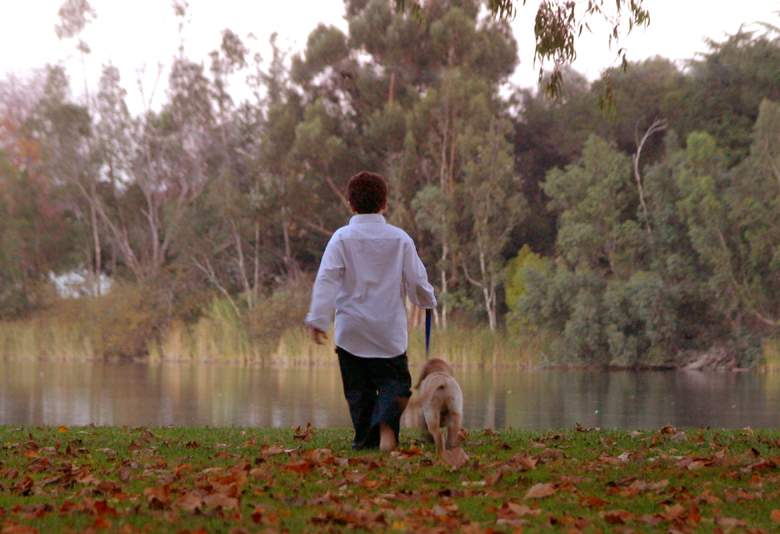 Over time, the child should easily be able to give the dog commands to respond to, and even play with the dog. I started with this method early, and at under two years of age, my daughter was already training with our dogs. They now respond beautifully to her commands, at least when they understand what she’s trying to say. Another consideration when teaching children to train dogs is that not all dogs understand from the beginning that children are actually little humans, to be respected and loved. Unlike my colleague’s Labrador retriever, who tried to get her 3-month-old son to throw a toy for her, many dogs actually have aversions to children due to the differences compared to adults: their faces are naturally closer to dogs’ faces (which can appear threatening to the dog who is already uncomfortable), they often squeal and yell, and their movements are short and choppy in comparison to adults. For these reasons, as well, traditional methods would be contra-indicated; a dog may react negatively to a “correction” from a child should it feel compelled to defend itself. Regardless of the philosophy of dog training to which you subscribe, I urge you to consider more modern, science-based and dog-friendly methods should you decide to work with your children to train your dog. They are far safer, and will undoubtedly be more enjoyable for both dogs and children.